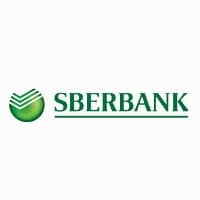 Russia’s Sberbank, Europe’s third largest bank with more than 100million customers, has begun piloting NFC payments in Moscow using embedded secure elements. It will follow the trial with a service using host card emulation (HCE) later this year. The bank will test its HCE service in the summer ahead of a wider roll-out and plans to use Sequent Software’s recently launched cloud-based digital issuance solution to power the service. “We are now in the process of defining the service that will be based on the Sequent technology and it will be a mobile wallet supported by us and, most likely, we will have cards from other banks,” Mircea Mihaescu, managing director of Sberbank digital ventures, explained to NFC World+. “The pilot is also using Sequent software and it is with the secure element embedded in the handset so not in the SIM card, and we are partnering with Samsung and HTC on that. This is in Moscow on a small number of devices right now, but it will go to several. At this time, it is not for everybody. It is for a small number of select customers. “We are not looking at specific merchants because a lot of them already support contactless,” Mihaescu added. “Contactless terminals are already in place. The pilot is provisioning a card on the secure element in the phone and the phone becomes the equivalent to a contactless card. “The second deployment — the second service that we will launch on a much larger scale — will be a combination of what I have just described and the secure element in the cloud. We are now in the plan and design stage and we have selected Sequent to be the technology provider for that.